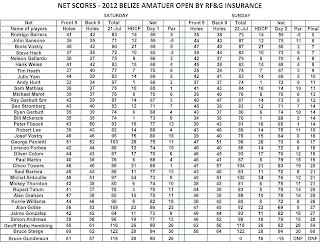 Thanks to everyone that turned out for the biggest Golfing event in Belize, the Belize Amateur Open 2012 sponsored by RF & G Insurance. Over 2 Days, 35 players battled for the prizes. The BAGA raised $5,000.00 for the Gobie Challenge Foundation which is raising money for the new Childrens Ward at the Karl Heusner Hospital in Belize City. Thanks to all who donated, this was a great achievement. Parrot Cove Lodge, Chef Rob, Belizean Shores Resort, Maya Air and Premium Wines. Howard and Wilana from Hot Mamas for providing lunch. 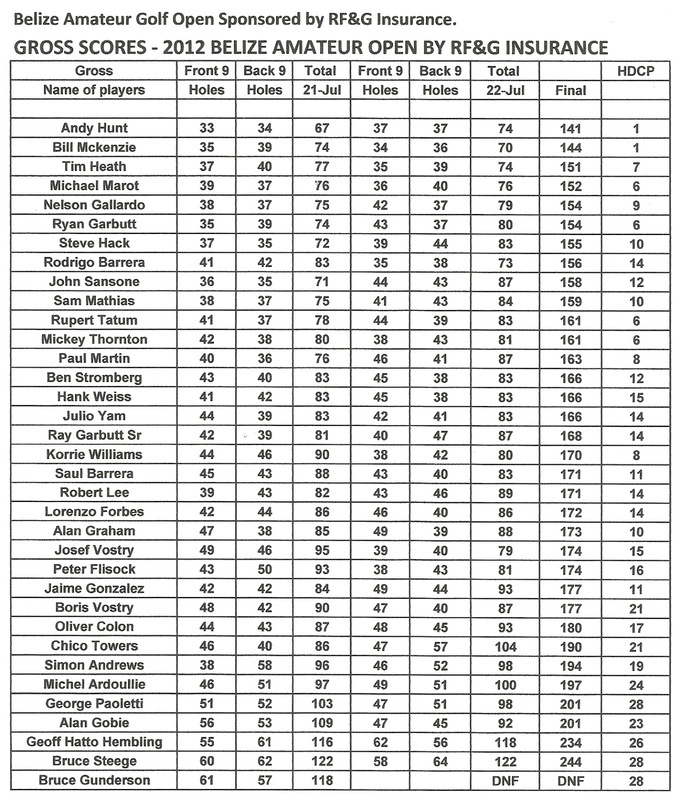 1st Place - John Sansone - +6. John also came second in the net prize but could not win in 2 categories. #9 and #18 - Sam Mathias - Golf Bag donated by Alan Gobie. Longest Drive : Rupert Tatum - Trophy and Bottle of Whisky donated by Geoff and Sam from Corkers. 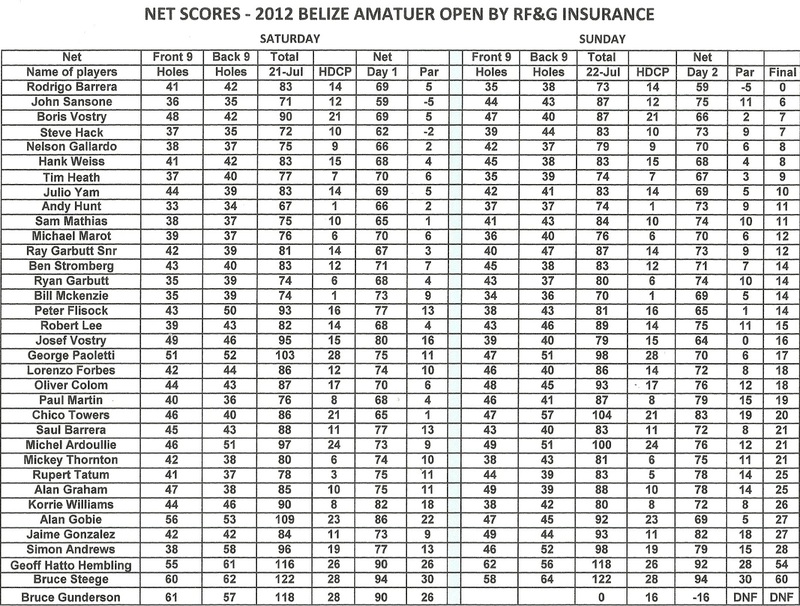 Highest Score on a hole - Geoff Hatto Hembling - 15. Which he did twice!!! 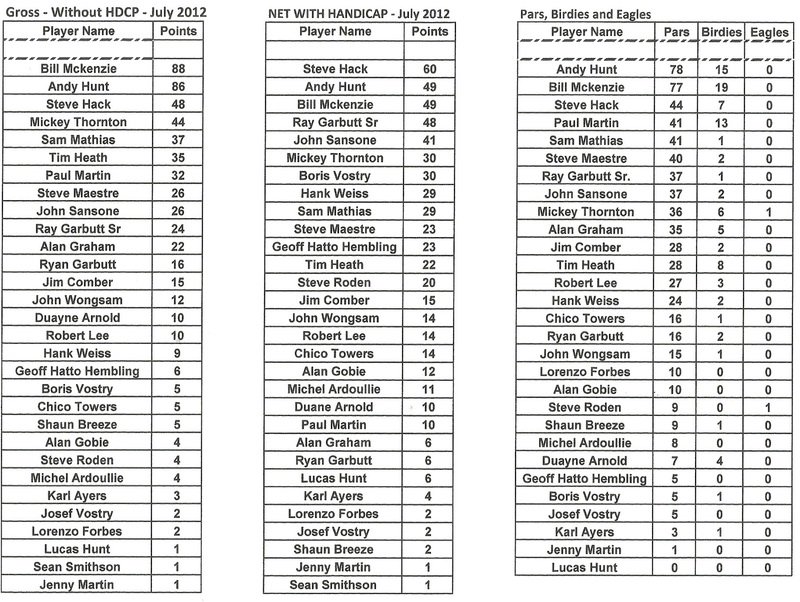 !Closely followed by Alan Graham with a 14!! Geoff Hatto Hembling who wins a 2 night stay at Belizean Shores Resort on Ambergris Caye with round trip airfare from Maya Island Air. 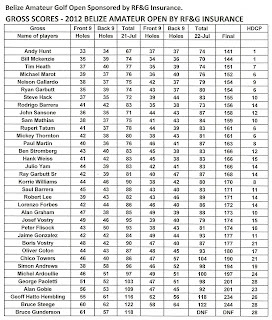 Congratulations to all and below are the full tables for the tournament and the yearly points for the BAGA members.